The Year of the Rooster is on its way and red is once again the colour of the moment! So after you've done the traditional clean of your home and decorated it with red paper lanterns and such, what next? Well, chances are that as a keen home decorator, you want to make some changes that are a little bit more permanent too. After all, red is the colour of good luck and brings a huge amount of energy to the home. But, as with all good things, it pays to be smart about using such a powerful colour. So we have collected 9 gorgeous home interior ideas to help you decorate with red. Of course, most of us want to watch our budgets, so we have included plenty of budget-friendly options too! Red works surprisingly well in small spaces like this little kitchen. 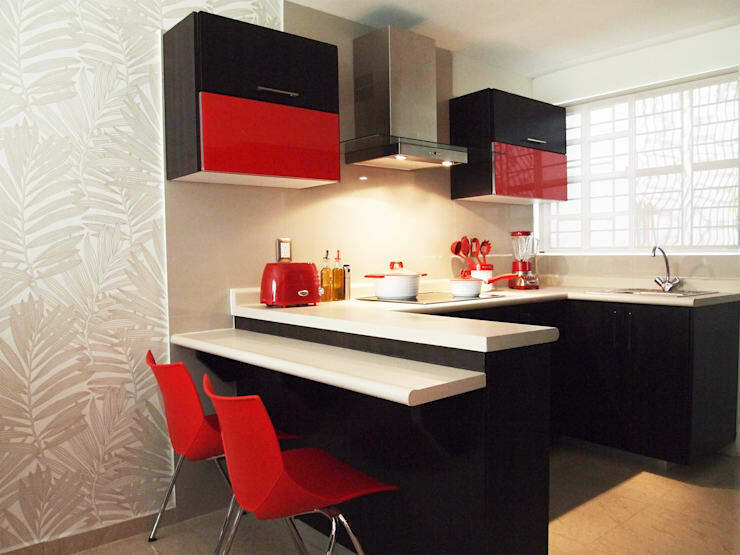 Team brilliant scarlet cabinets or accessories with black, white or grey to balance the brightness and create a space that pops. A big, abundant arrangement of red flowers is a beautiful way to make a big colour statement without spending a whole lot of money. Don't be afraid to amp up the drama with big long vases. A heavy, glossy layer of red lacquer can make even the cheapest and most generic item of furniture look really glamorous. This is a very low-cost way to completely transform the look of your home. 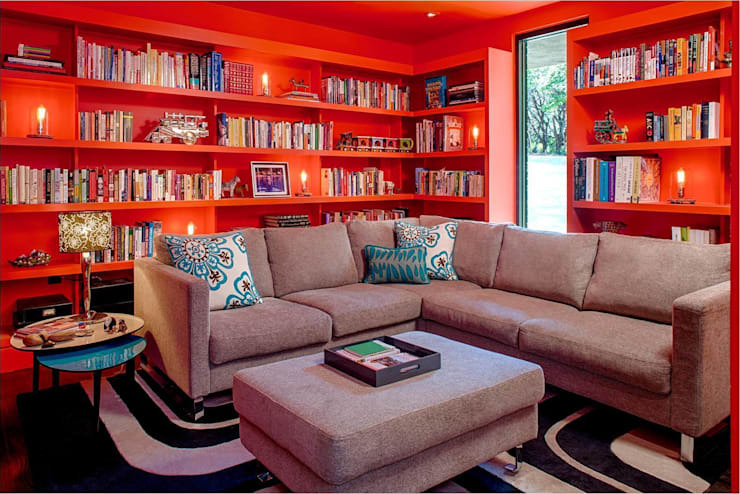 Red is a very strong colour and tends to dominate a space. 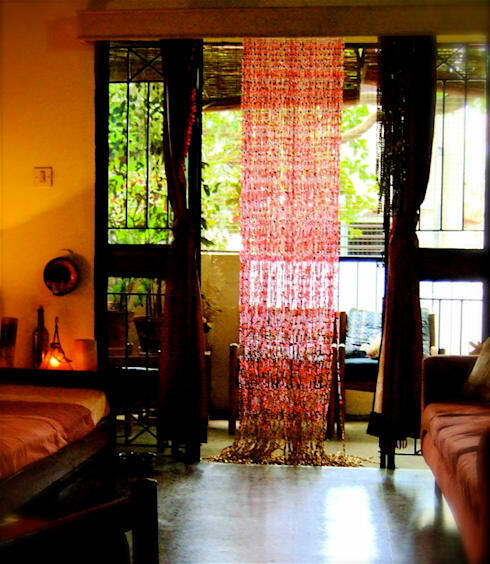 So if you have a small home and want to lighten the effect, consider some sheer red curtains. 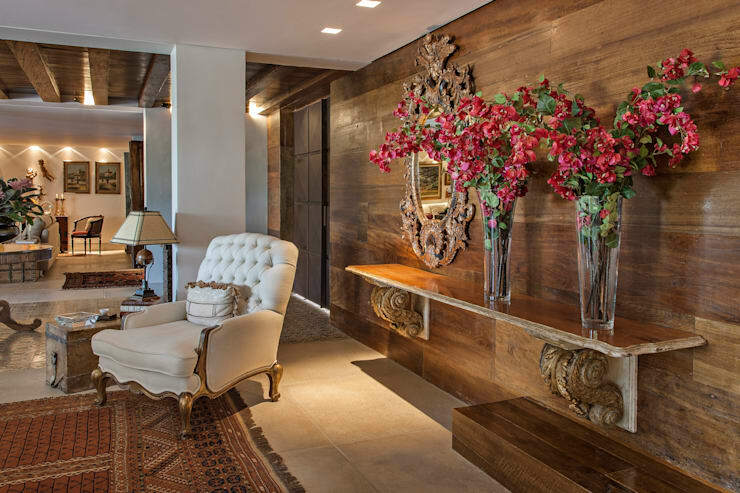 These beaded curtains create an almost shimmering effect in this tropical-style living room. They come from Indian-based furniture and accessories designer Memories of a Butterfly. 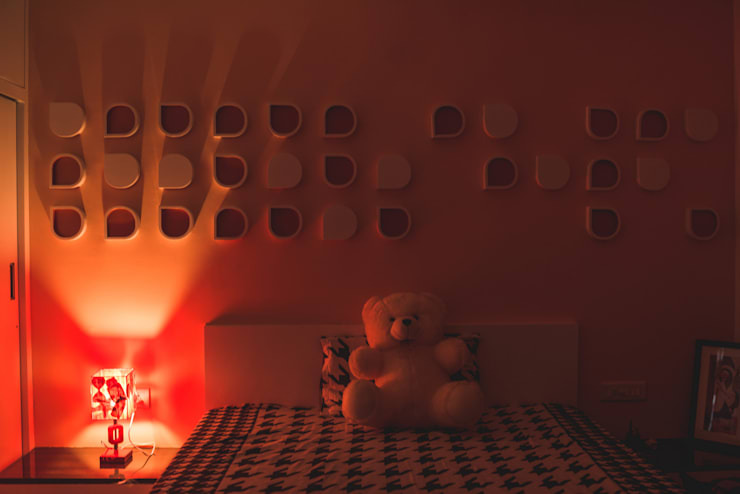 The simplest way to add red in the home is to add a red shade to the lamps or lights. This can look delightfully bohemian if you play around with patterned fabrics. Of course, do your due diligence and make sure you're not creating a fire-hazard though. This might be a nice way to bring the colour from some traditional red paper lanterns into the sleeping areas. 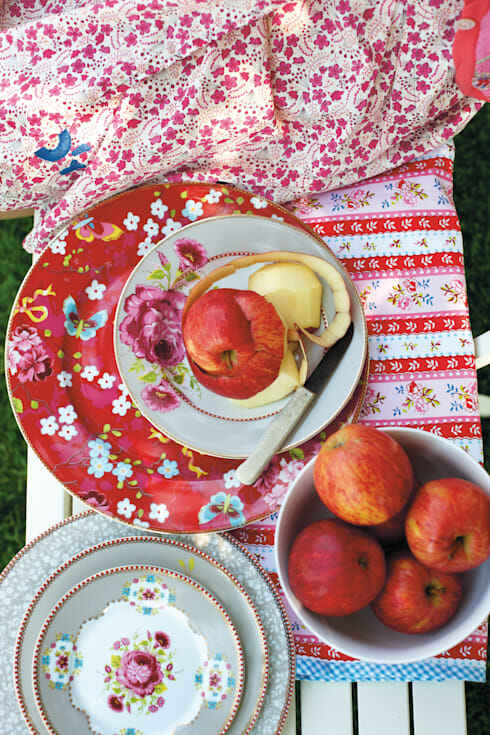 Another way to break up the power of red is by choosing a floral pattern with lots of other colour accents. 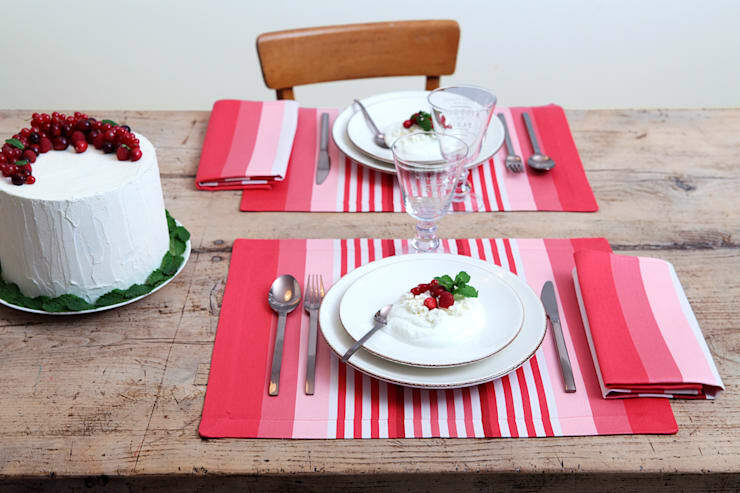 This beautiful red crockery is a fairly budget-friendly choice. It's always handy to have extra plates for visiting family and friends too. 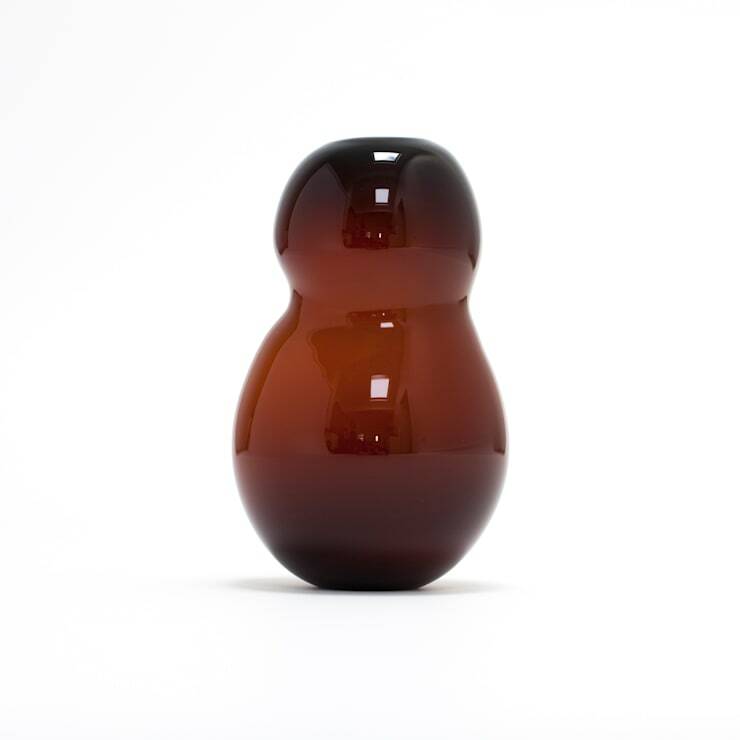 Glassware tends to have a reflective quality that—again—lightens the visual power of a stunning red. A couple of red bowls will also really pop out when set against a white-white wall. Chinese New Year is the time to feast, so it makes total sense to spend a little on new red placemats for the dining table. These ones are easily washable so they can be used the following year too. 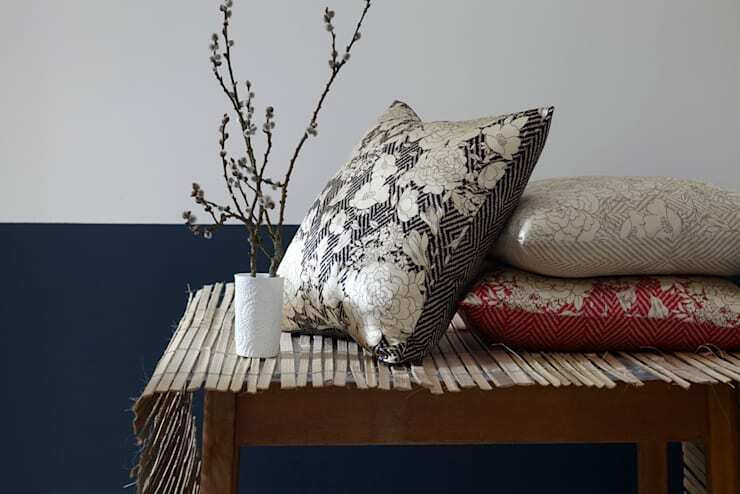 This collection of Asian-style cushions from textile designer LauraLoves shows just how to work red accents into a neutral colour scheme. The red accents are small, but they pack a real punch. Note how the common patterns hold the entire collection together. Chinese New Year is the time to celebrate, so why not go a little further and create a feature wall? This one has that extra pop of energy thanks to the white hanging plant rack. 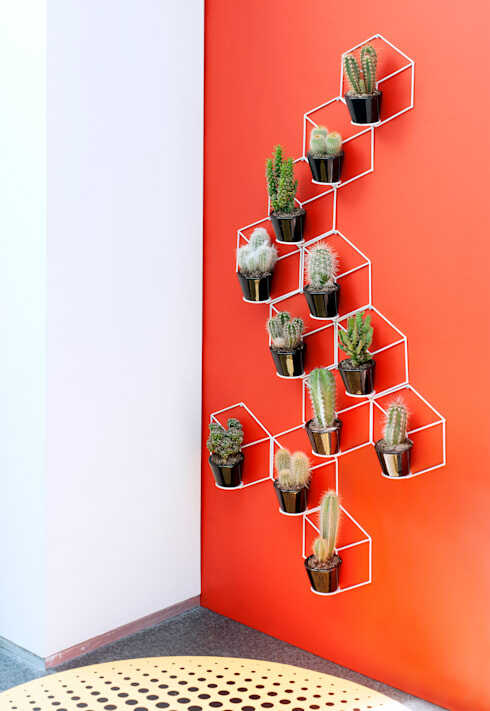 They add a contemporary geometric look to the wall. For more home inspiration, have a look at: 6 creative ways to design your bathroom like a pro. Do you have any other favourite red accents in your home?